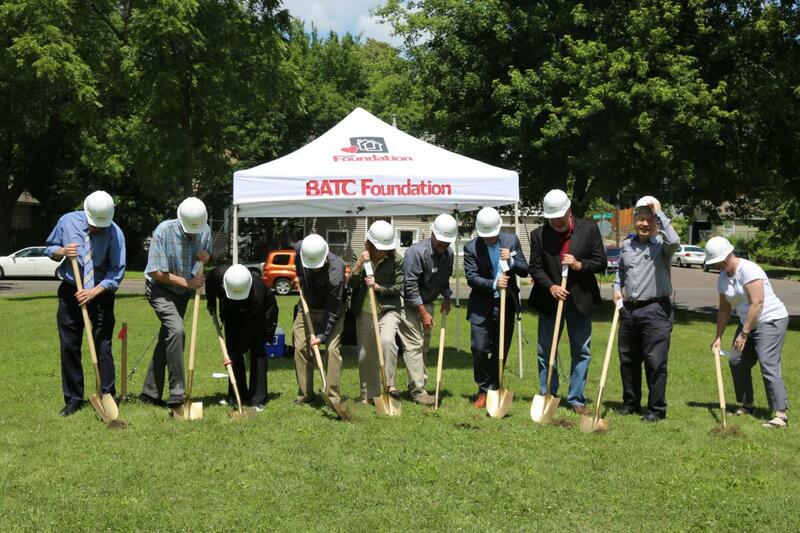 The BATC Foundation held a groundbreaking ceremony with build partner, Lennar Minnesota, to launch its latest project—the construction of a brand-new home that will be donated to the Minnesota Assistance Council for Veterans (MACV). The home will be MACV’s first home that can support not only veterans who are experiencing homelessness, but house their families along with them. 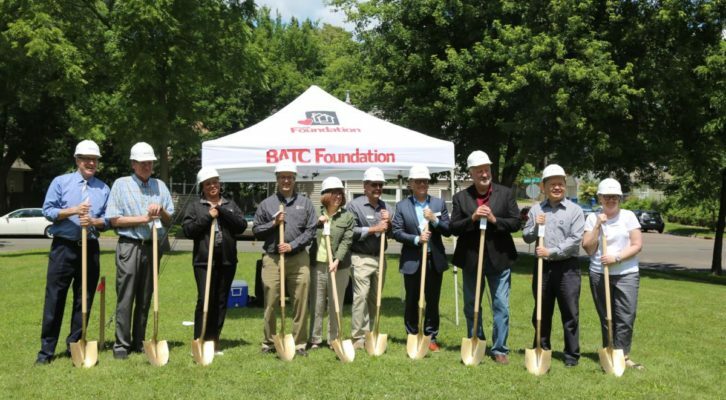 Representatives of the BATC Foundation, build partner Lennar, MACV, Saint Paul City Council member Jane Prince and Senator Foung Hawj all made remarks during the groundbreaking ceremony. 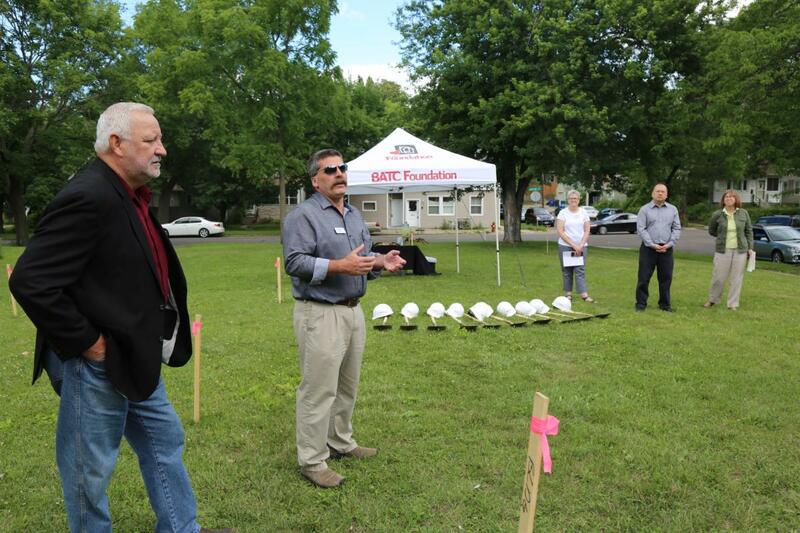 Once built, the home will be owned and operated by MACV and used to house veteran-headed families for many years to come. While in the home, residents work with MACV case managers to overcome their housing, employment, and legal barriers. This critical program gives homeless veterans the support and confidence to once again find success. 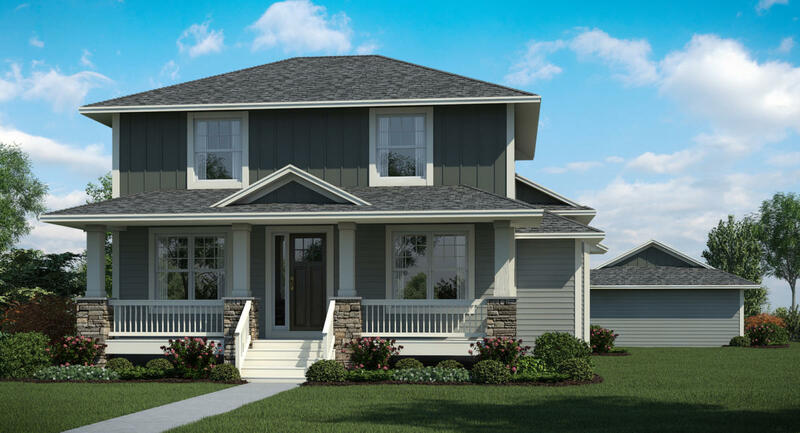 The home will feature five bedrooms, with the master bedroom on the main floor for handicap accessibility. The style of the home matches the character of the east St. Paul neighborhood it sits in and includes a detached garage. Lennar plans to start digging in the next few days and will finish the home in time for it to be featured during the Fall Parade of Homes starting September 9th. 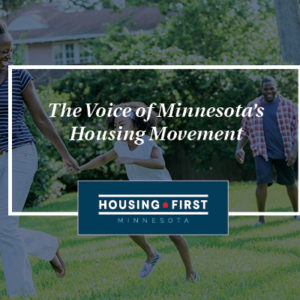 Thank you to all our partners on this project: Lennar and their trade partners, MACV, St. Paul City Council, Dayton’s Bluff Neighborhood Housing Services and Rebuilding Together Twin Cities. Stay tuned for updates on this exciting project! Want to get involved? The BATC Foundation has a member volunteer day planned for September 7th to lay the sod and finish the landscaping on the home. Details here.